FOR PIMPLE PRONE SKIN We worked directly with our customers to develop an on-the-spot pimple patch in the form of fluid-absorbing stickers. They affix right over the spot, providing a no-pick place to heal with neutral beige or fun flaunt-able patterns. ABSORBS FLUID Each hydrocolloid acne patch is made with hydrocolloid and is designed to absorb fluid in the affected area, which provides a protective healing environment and helps lead to happier skin. SEE A SPOT, STICK IT UP Start with clean face and clean hands, and avoid touching the sticky side of the patch. Apply acne stickers directly to your spot before bed and leave on overnight. To remove, stretch sticker away by the edges. WHENEVER THEY POP UP Treat zits big and small, one by one! 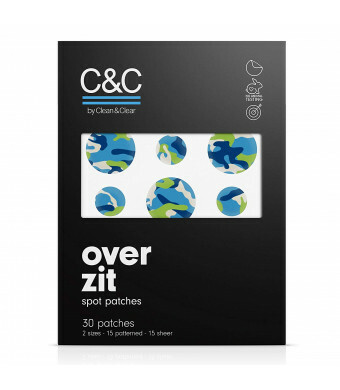 These acne spot treatment patches come in two sizes, and are available when you need them. And if youre all clear for now? They store handily in their protective pouch. We work directly with our customers to develop a clear cut line of products that help skincare fit easily into your daily routineno overthinking required. And these hydrocolloid pimple patches are no exception! They cover zits one by one to help provide a no-pick, protective healing environment. 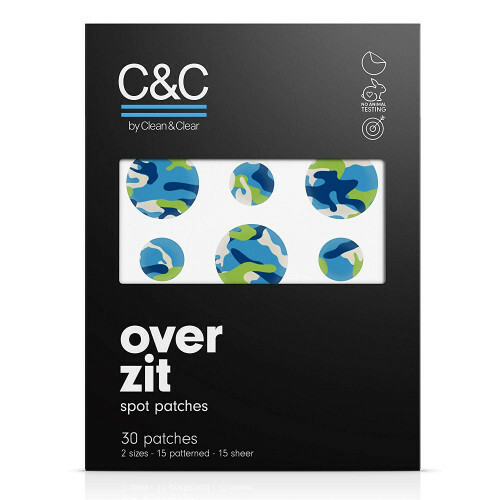 Designed to absorb fluid in the affected area, these acne stickers help make skin happy. There when you need them, and easily storable when you dont, these overnight ance patches come in two sizes to fit zits both big and small. These acne stickers are great for both men and women! Oh, and guess what? Like all of our other C&C by Clean & Clear products, these on-the-spot patches are never, ever tested on animals.